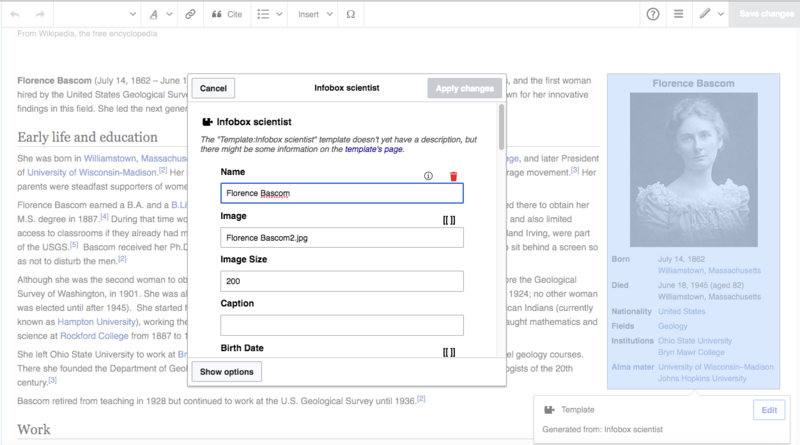 Improve #WomenInSTEM Representation with Wikidata! Join us for #WikiLunch and #WikiCommute July 19-21 to improve the wikidata for #WomenInSTEM! We're ready to take our women in science to the next level! I hope botanist Mary Agnes Chase would be proud. This journey started with our history of science and the media research fellow, Marcel LaFollette, who created basic records for female scientists she uncovered in the Archives' Science Service collection, including many who worked at the Smithsonian. We then created a campaign to amplify the records, and create a secondary source for Wikipedia with our "Women in Science Wednesday" campaign. Then we held several Wikipedia edit-a-thons with our local Wikimedia DC chapter to turn those resources into articles. Tomorrow we are kicking off a mini-campaign to take the hard work that wikipedia volunteers have done and turn it into better structured data for Wikidata! 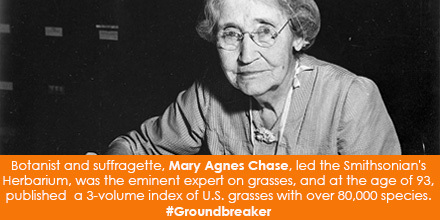 Mary Agnes Chase (Item ID=Q3822242) was employed by (Property ID=P108) the Smithsonian (Item ID=Q131626). Items have a unique identifier, or Q value, and Properties have a P value. The unique identifiers allow us to know if we are talking about the "same thing." Finally "...content of Wikidata is available under a free license, exported using standard formats, and can be interlinked to other open data sets on the linked data web" (more about Wikidata here). So organizations, businesses and individuals can reuse this data and do mash-ups with their own data sets, as they see fit. So why does this matter to those of us in the cultural heritage world? We spend a lot of time researching, verifying, and writing data, or metadata, about our collections which has become a trusted source for researchers, educators, and the public alike. We want this data to be used and it talks about things we care about as humans; history, cultures, art, and science. 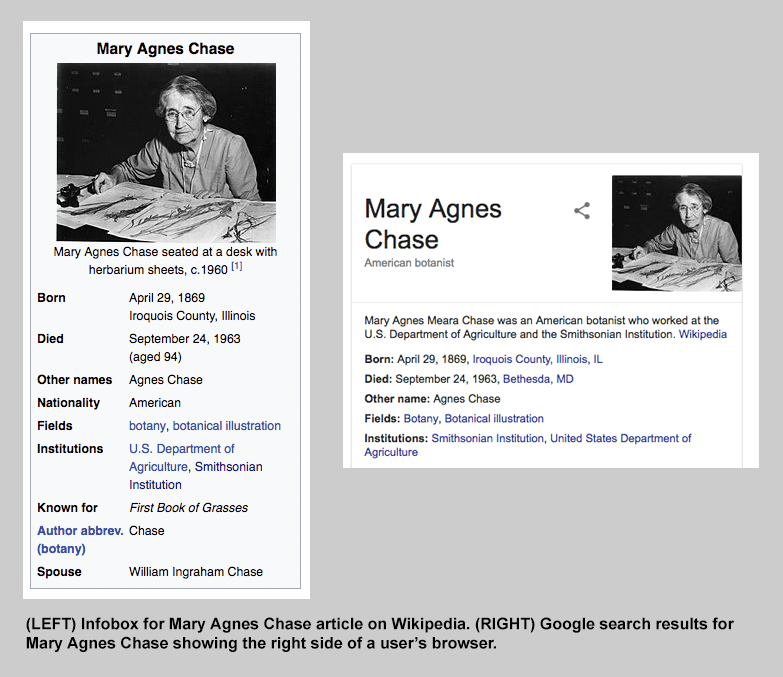 Wikipedia volunteers have created great articles about female scientists found in the American history, but the Infoboxes, which can end up in Wikidata, are still messy, incomplete, or non-existent. We know that it takes a lot of time to attend Wikipedia edit-a-thons, and it may not be possible for you to do one in person if you don't live near a local chapter. So we're trying out smaller requests for help via social media and this blog to see if we can spruce up the structured data for these groundbreakers. First, register for a Wikipedia account so you can participate. Next, sign up for the event so we can track what happens! The passcode is wikilunch. Choose the name of a woman below.